The St. John Passion by J.S. Bach is absolutely riveting and is the closest the great composer ever came to writing an opera. Written using text mostly from Martin Luther’s German translation of the Bible, as well as poetry by Barthold Heinrich Brockes (1680-1747), it moves at break neck speed and is filled with an urgency, musical variety and intensity of affect that is unmatched in the history of sacred music. Join the Pacific Baroque Orchestra, the Vancouver Cantata Singers and a cast of international Bach specialists for this dramatic reading of one of the greatest works in the classical repertoire. Click here for an article by Michael Marissen entitled Bach’s St. John Passion and the Jews. We do not know whether Bach wrote the first of these two works when he first took up his new post; some believe that it could have been performed in April 1723, as a kind of entrance exam, while others believe it was first heard on April 7, 1724 — or maybe that this was the work Bach performed, in whole or in part, during his visit to Gotha in 1717. Whatever the case, Bach presented the work, with modifications, a further three times: in 1725, in 1728 or 1732, and at the end of the 1740s. Despite this imprecision, we know that in Leipzig the text of the Passion was set to music to be sung during Vespers on Good Friday, in two parts, before and after the sermon, and that this, Bach’s first Passion, was performed in the Saint Nicholas church, which alternated with the Saint Thomas church as the venue for an annual musical representation of the Passion. The monumental and anguished opening chorus in G minor sets the mood of the drama right away. Though its text invites the believer to pray and to glorify the omnipotent and eternal Lord, the music gives off palpable tension: while the oboes, doubled by the flutes, slowly descend in pungently abrasive seconds, the string figurations evoke the endless suffering of Christ. Then, before returning to the material already presented by the instruments, the chorus enters with exclamations that sound more like pathetic cries than confident affirmations. This Passion follows the generic rules of oratorio. The story, which is drawn from chapters XVIII and XIX of the Gospel according to John, supplemented by some verses from Matthew, is presented in essence as a commentary with personifications of the protagonists. Following tradition, this narration is assigned to a tenor voice. Other voices personify various key persons, while the choir sings the role of the crowd, of groups of soldiers, and of groups of priests. The role of Christ, sung by a bass, as usual, is “calm and sublimely majestic,” while the treatment of the choruses reveals a crowd that is, in the words of Karl Geiringer, “fervent, impassioned, and aroused.” To render the rapidity of narrative that characterizes this gospel, Bach provides various kinds of contrast, and particularly a rapid alternation between sharp and flat keys. This scheme is interrupted by commentaries in free poetry, the texts of which Bach may have written himself, drawing inspiration from the writings of pastors Barthold Heinrich Brockes and Christian Heinrich Postel. Arias and ariosos, like the chorales chosen by the composer, serve as resting points as the story unfurls, moments to meditate upon the meaning and implications for the Christian of the sufferings of Jesus. The goal is not only to relate the sequence of events leading to salvation, but also to explain them to the faithful by means at times theatrical, moving, or meditative. The various sections are not randomly arranged. Rather, as is true of so many elements in the Cantor’s music, they are ordered following rules that are precise though not immediately perceptible to the listener. For an idea of the composer’s organizing thought at work, consider this: all the music between the chorales Ach großer König (nº 17) and In meines Herzens (nº 26), is organized as a vast palindrome extending symmetrically on both sides of the chorale Durch dein Gefängnis (nº 22). The text of this chorale develops the paradoxical idea that it was by his captivity that Christ assured our freedom. By placing it at the centre of his organizational scheme, Bach highlights the centrality of the message of the Redemption. This structure is not only elaborate — an essential characteristic of the Baroque that Bach developed more than anyone else — but alive, fully inhabited; nothing in it is left to chance and, by a variety of compositional techniques, all emotional responses to the profound subject being treated are plumbed. Note the care with which Bach musically emphasizes the sense of certain key words. For instance, on the words weinete bitterlich (bitterly weeping), recitative no. 12 become an arioso full of chromaticisms evoking Peter’s tears; or, in the unusually long aria Erwäge, wie sein blutgefärbter Rücken (no 20), delicate figurations on two violas d’amore represent the rainbow. With its rapid central part, in which the voice is accompanied by the string ensemble, Es ist vollbracht (no 30), the expressive peak of the work, inverts what was, in Bach’s day, the usual da capo structure of an aria (that is, with a slow central section sandwiched between the first section and its reprise). Grief at the death of Jesus is here doubled by the affirmation, from the left, that it constitutes the ultimate triumph. Bach reaches an incomparable profundity of expressiveness not by rote association of musical motif with image (such literal music is dull), but by the beauty of his melodies, the feeling associated with various keys, and the richness of his harmonies. His expressive intention is also seen in his choice of instruments. We speak here not of orchestration, but rather of the colors painted by instruments chosen following the theory of affects: that is, according to the conventions of the day by which particular instruments symbolized particular emotions. The use of period instruments today convinces us that these matchings and the composer’s choices are sound. Thus, according to Mattheson, the viola da gamba evokes tenderness and serious matters and is the ideal choice to give an impression of nocturnal mystery in Es ist vollbracht. The violas d’amore, again according to Mattheson, convey languishing tenderness, such as the dolorous joy evoked in the aria Betrachte,mein Seel (nº 31). Flutes are often used as funerary instruments, evoking the departure of the soul, the unknown, mercy, and serene joy. Oboes, when they are not being loud or vehement, as they are when they accompany the crowd scenes, are uneasy and moving. According to André Pirro, the oboe da caccia makes audible “rumors of grief and of the night with the pungent stubbornness of a tolling bell.” Listen, for example, to the arioso Mein Herz […] Was willt du deines Ortes tun? (no 34). Finally, the oboe d’amore evokes abandon and the “grief of compassionate friendship”, while the lute adds its gentle sound to the ethereal voices of the viola d’amore, as if not to rush them. This Saint John Passion ends with a funerary chorale on a lullaby rhythm, written for the same forces as those used for the opening chorus — its descending motives illustrate the lowering of the body into the grave— and a simple and touching chorale. Compared to the Saint Matthew Passion, this is a more intimate, less grandiose, less orchestral, and possibly also more subjective work. As Geiringer puts it, Bach’s musical setting of the gospel according to Christ’s favorite disciple shows “the celestial power in opposition to earthly suffering.” It is a dramatic work combining great rigor and emotion. The soprano Jenny Högström was born in Luleå, Sweden. At the age of nine Jenny started learning the clarinet, and later the piano. 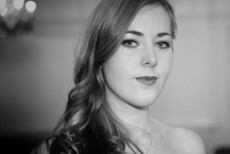 She decided to study singing at the age of 16 for the soprano Gunilla Niska and later with Synnöve Dellquist at the Collage of Music in Piteå, Sweden, in the spring of 2012 she graduated with distinction from Schola Cantorum Basiliensis, Basel, Switzerland, with a Master of Arts in Historical Perfomance for Professor Ulrich Messthaler, and in 2014 she completed a Master in Music Pedagogy. During her studies she has undertaken Master Classes in singing and chamber music with Andreas Scholl, Margreet Honig, Alessandro de Marchi, Andrew Laurence-King, Anthony Rooley, Birgitta Svendén and Barbro Marklund among others. 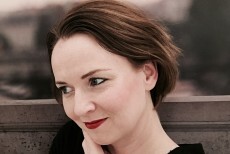 As a soloist she has been invited to perform throughout Europe in prestigious festivals, such as Händelfestspiele Halle,Schwetzinger Festspiele und Berliner Tage für Alte Musik (Germany), Stockholm Early Music Festival (Sweden), Cambridge Summer Music Festival (England), Jeune Talents Paris (France) and Trigonale Festival (Austria). The main focus of her repertoire lies in the baroque, but the romantic Lied-repertoire lies very close to her heart. 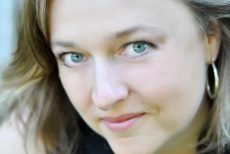 Jenny has worked with orchestras and soloist vocal ensembles such as La Cetra Baroque Orchestra and Vocal Ensemble, Collegium 1704, Ensemble Odyssey, Zürcher Sing-Akademie and Origen Ensemble Vocal. She had the opportunity to work with renowned conductors such as René Jacobs, Andrea Marcon, Hervé Niquet, Václav Luks and Michael Form. Together with Ensemble Odyssee, she recorded solo cantatas from the Neapolitan composer Gaetano Veneziano for Pan Classics: Christmas in Napels (2014), In Officio Defunctorum (2015). Her performances during the season 16/17 includes tours with the Czech ensemble Collegium 1704 under the direction of Václav Luks, and with Ensemble Odyssey, conducted by Andrea Friggi. She also sang the role of Calliope in Handel’s “Il Parnasso in Festa” in Amsterdam Concertgebouw under the baton of Andrea Marcon. Jenny performs for the first time this summer at Early Music Vancouver. Tenor Robert Getchell began singing at the University of Massachusetts/Amherst where he studied French and Spanish literature. In France he studied French baroque music at the ‘Centre de Musique Baroque de Versailles’ and continued his studies with Margreet Honig at the Amsterdam Conservatory, specializing in early music interpretation with Howard Crook. In Europe Robert Getchell is a frequently requested soloist, performing with many ensembles and conductors such as L’Orchestre des Champs-Elysées con. Philippe Herreweghe, Les Talens Lyriques, La Grande Ecurie et Chambre du Roy, Frans Brüggen, Amarillis, Gli Angeli Genève, Le Concert des Nations con. Jordi Savall, Akademie für Ate Muzik Berlin, and is a member of the White Raven Trio. Getchell has performed the role of La Furie in Lully’s Isis with Hugo Reyne, Astolphe in Lully’s Roland, Mercure in Lully’s Persée, The Chamberlin in Purcell’s The Fairy Queen, Eurimaco in Monteverdi’s Il ritorno d’Ulisse, and the title role in Le Claire ́s Scylla et Glaucus withChristophe Rousset. In America he regularly sings with L ́Opéra Lafayette con. 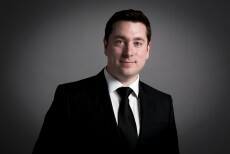 Ryan Brown performing roles such as Hyppolyte in Rameau ́s Hyppolyte et Aricie, Le Chevalier in Gluck’s Armide, Polinice in Sacchini ́s Oedipe a Colone, Renaud in Lully’s Armide (the latter two recorded by Naxos). He performed the role of Gomatz and Le Podestat in Mozart Short Cuts a staged opera by Jérôme Deschamps and Macha Makeïf, con. L. Equilbey and the role of Ferrando in Mozart’s Così fan tutte at the Champs-Elysées Theater with con. Jean-Claude Malgoire. 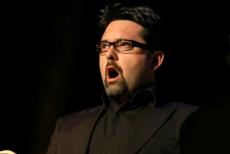 Robert Getchell has been invited to sing in various festivals in Europe such as the festivals of Versailles, Ambronay, Fribourg, Beaune and Utrecht, and he has recorded numerous CD’s with works from composers from Charpentier and Mozart to Schubert, Mendelssohn, and Poulenc. 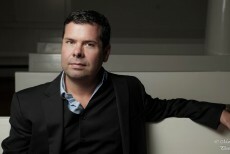 Among his projects for 2017 he will perform the role of Damon in La Double Coquette, a contemporary revision of Antoine Dauvergne’s opera comique La Coquette Trompée (1753) by Gérard Pesson, touring in France, the role of Damon in Les Indes Galantes part IV with Opéra Lafayette con. 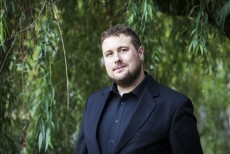 Ryan Brown, J.S. 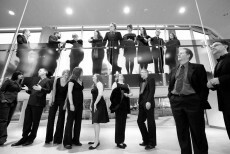 Bach’s St. John’s Passion in Victoria and Vancouver, Canada, and various concerts with J.C. Malgoire, Stephan MacLeod and François Lazarevitch.